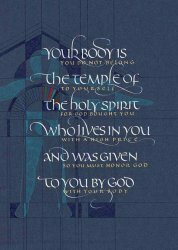 Your body is the temple of the Holy Spirit, who lives in you and was given to you by God? You do not belong to yourself, for God bought you with a high price. 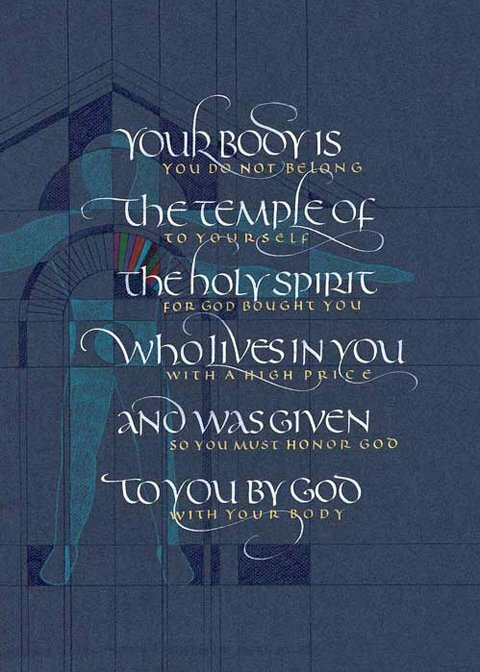 So you must honor God with your body.